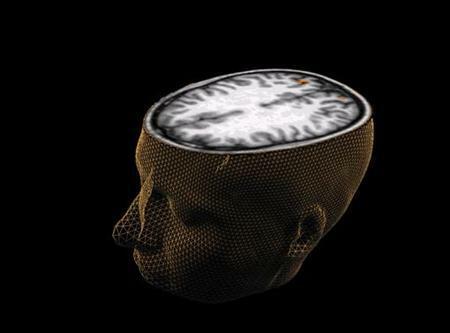 Brain, repair thyself: Studies highlight brain's resiliency to damage ~ Health Matters Today! New research released today demonstrates the brain's remarkable capacity to repair itself. The animal studies, which propose ways to prevent or limit damage after blood and oxygen deprivation and blood clots, were presented at Neuroscience 2011, the Society for Neuroscience's annual meeting and the world's largest source of emerging news about brain science and health. Stroke is the number one cause of long-term disability and the third leading cause of death in the developed world. Limiting the damage caused by stroke would improve patient prognosis. Sensory stimulation protects against stroke damage if administered within the first two hours of stroke onset, whether animals were awake or anesthetized (Ron Frostig, PhD, abstract 781.15, see attached summary). An animal study suggests that auditory stimulation delivered soon after a stroke protects from damage (Ron Frostig, PhD, abstract 781.14, see attached summary). An animal study identifies a cellular mechanism that blood vessels use to clear their own clots (Jaime Grutzendler, MD, abstract 891.17, see attached summary). Oxygen deprivation in very premature babies born before their lungs are fully developed can interfere with myelin, the fatty protective structures surrounding nerve cells. Animal studies discussed today define cellular changes that lead to white matter damage in preemies, and molecular pathways that can be potentially targeted to promote repair (Vittorio Gallo, PhD, see attached speaker summary). A human study identifies that a protein called AXIN2 is affected by white matter injuries in infants. Further research showed that mice given a drug preventing AXIN2 destruction repaired myelin faster than other mice, suggesting AXIN2 may be an important therapeutic target (David Rowitch, MD, PhD, see attached speaker summary). "The brain is remarkably robust," said press conference moderator Mark Paul Goldberg, MD, a neurologist at the University of Texas Southwestern Medical Center and an expert in brain injury. "Many of the brain's systems have mechanisms that allow it to protect or repair itself. With the help of further research we can better understand these mechanisms and find new applications for treating brain injuries."